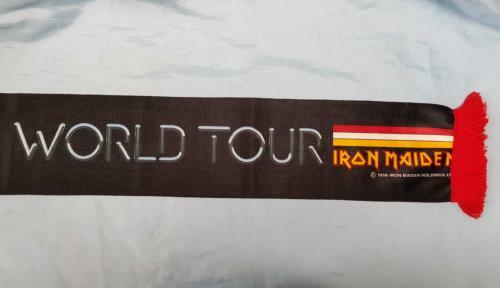 IRON MAIDEN Virtual XI World Tour (Rare 1998 UK official fabric scarf available during the tour. 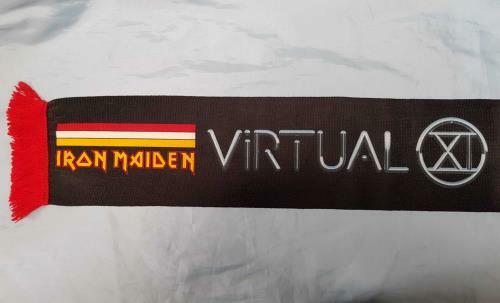 This vintage black scarf is printed with 'Virtual XI World Tour' along the length with the band name logo at each end, with red tassels at each end.Also printed under the name is '� 1998 Iron Maiden Holdings Ltd' in white. 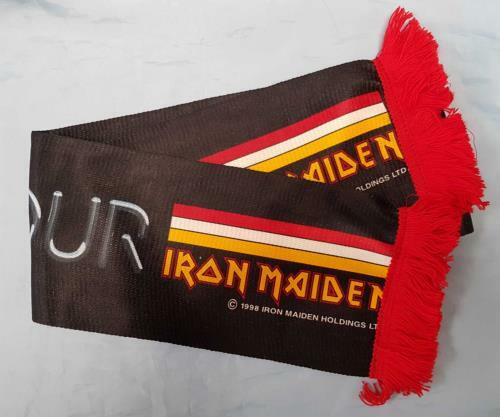 For an item just over twenty years old, this shows very little signs of age and hardly any wear, a fantastic example, the first we have ever seen & must have for any Maiden collection).